Back To School Reading - What to read to your class on the first day!! To learn more about a book, click on it and you will be taken to AMAZON.COM!!! Support Teaching Heart and Shop Our Store! Click Here! Until she hops on the school bus, says a cheer, and out pops a ______ (O, I cant tell you, that would spoil the ending for you). 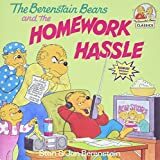 The illustrations are well done and the rhyming text is always a hit with grades Pre-K to first grade. It is a great read for back to school. 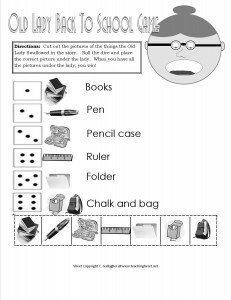 Do a search on Google for There Was An Old Lady Printables and you will find many activities you can use at home or in the classroom with this book and many other Old Lady Books. 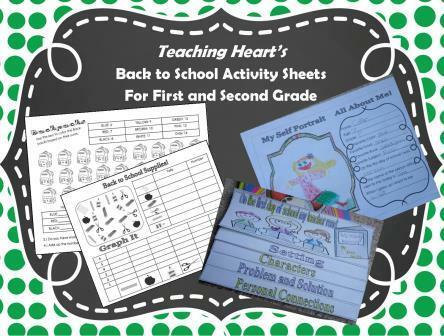 I have two pages of free printables to share. The first page is a dice game. Students take turns rolling the dice to collect all the things the lady swallowed in the story. First person to get all the story pieces, wins. Page 2 of the file contains story pieces you can use with our Old Lady baggie and Apron Pattern. Click here to learn about the pattern. You will also see the Old Lady Apron here. 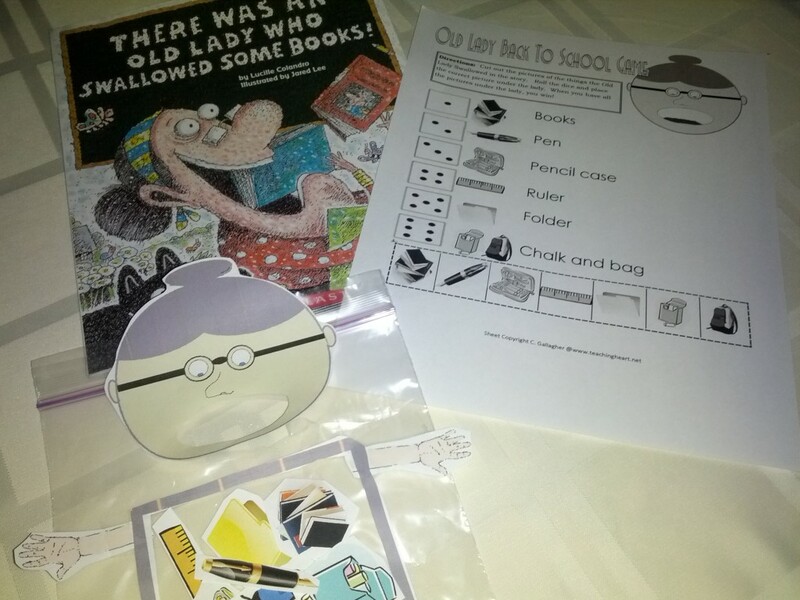 Click Here to Download the Old Lady Swallowed Some Books Dice Game and Story Props. This book is about Bailey, a little loveable white dog with a big personality, who goes to school with human friends. 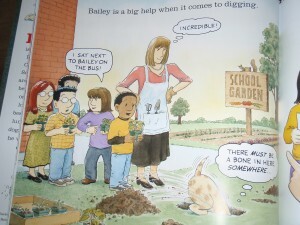 Bailey is an adorable story just perfect for a preschool to first grade class setting. Students will connect to the character of Bailey as he goes to school. Its a wonderful first week of school read. From dancing to math Bailey spends the day doing things other kids do, only a little bit more dog-like. Bailey loves school and his love is contagious for the reader. At school, everyone likes to sit beside him on the school bus and in class. They like to talk to him at recess. Hes one cool pup! Baileys day is very much like an average school day, but with Bailey the day is always more exciting. You will even find that it is true, dogs do eat homework. In fact, Bailey eats his own and ends up with a stomach ache. Both my nine and four year old enjoyed this book very much. They laughed and enjoyed following Bailey on his adventure at school! The illustrations in this book are fantastic and the book is the perfect length for younger kids that do not have a huge attention span. It is also a great read for back to school time for grades Pre-k to first. School aged readers will make a connection to the text and the characters. Its likely you will hear lots of giggles. Hopefully Baileys love for school will be caught by the reader. Much of the text is done in comic bubbles. Comic bubbles are a great way to teach a lesson on prediction. Also this site http://betterlesson.com/lesson/41457/comic-book-bubbles has a great lesson on using comic bubbles that could easily be used with the book Bailey. Brimful Curiosities shares this snack. 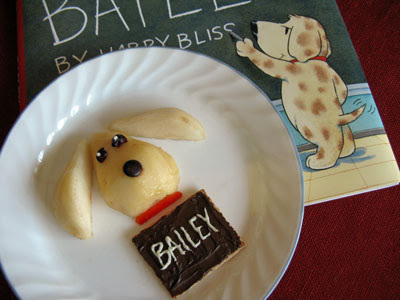 I also enjoyed Brimful Curiosities http://www.brimfulcuriosities.com/2011/09/bailey-by-harry-bliss-book-giveaway.html reveiw of Bailey. You will love the treat they made to match the book. Follow the link and you can learn more. All his classmates make fun of Rodney because he cant pronounce his name correctly. In the end, Rodneys speech problem helps solve a big classroom problem. A great book to show that all our friends have special talents! 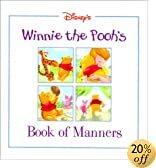 Click Here to See Many Ideas to match this book! Hey, I used these books last year as my beginning of the year. I began with the explanation that it is sometimes scary coming into a new grade or maybe even being a new student...and then that just naturally led into these books. Ms. Himles book is Miss Darling. 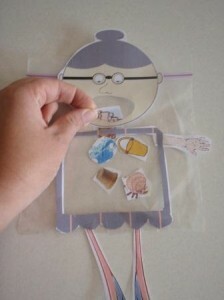 Everyone knows a kindergarten teacher that seems to have a magic touch with young children. Miss Darling is one of those kindergarten teachers with that magic way of making children want to be at school. In fact, when Libby, the little girl in the story, does not want to leave the side of her mother to attend the first day of school Miss Darling appears with cold hands and a job for Libby. Miss Darlings magic touch and way with Libby make school a place Libby wants to be a part of. This is a great story for back to school. It would make a good gift for a favorite kindergarten teacher that touched your childs life. The illustrations beautifully match the text. The story held the attention of my very own kindergarten student. 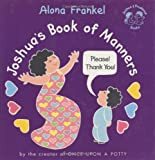 I enjoyed reading this book to my son and he found many parts in the story that reminded him of his first day of school. There are many opportunities to make a text to self connection. Lisa Himle has written a wonderful story that I am sure will touch the hearts of many students, teachers, and parents. http://www.mittenpress.com/promo/62982-guide.pdf - Ideas and printables to match this book!!! Ann Stampler, the author of "Go Home, Mrs. Beekman", recently sent me a copy of this adorable book. The night I got it was the second day of Kindergarten for my son. We sat down and read it together. In the story, Emily Beekman refuses come out of the fort she's built in her bedroom and go to the first day of school unless her mother promises to stay at school with her forever. Mrs. Beekman promises. However, even after Emily forms a bond with her teacher, makes new friends, and is perfectly happy to go to school on her own, Mrs. Beekman just won't leave. I immediately made a connection with the mother in the story. Unlike the child in the story my son was soooooo excited about the first day of school. Me on the other hand, I wasn't quite sure if I wanted to let him go to this unusual place all by himself. I connected with Mrs. Beekman's need to watch over her child. She became a fly on the wall at her daughter's school by transforming herself into a coat rack, a hat, a hula hoop, and some other interesting things. As we read, I could relate. Those first few days of school had me wondering how my son was doing, if he was listening to the teacher, if he was having fun, and if he missed me. Much to the dismay of the teacher in the story, Mrs. Beekman saw it all in her daughters class! That lucky Mrs. Beekman!!!! It is about a little rabbit who is terrified about the procedures at lunch time (dropping his tray, messing up his money, etc.) This is a great read to introduce first graders to the lunch routine! I had a class last year that could not get along. They loved to tattle and make fun of others when the teachers weren't listening. When I did group work I had a couple of students that couldn't get along with others no matter how I arranged the class. I got tired of all the bickering so I brought out the book "Miss Nelson is Missing". It is a very funny book about the teacher that leaves and out comes mean Viola Swamp. I talked to the kids afterward about whether they wanted the nice teacher or the mean teacher, and that the mean teacher wouldn't be able to do fun group activities because the students couldn't get along, and how their behavior determined what we were able to do as a class. It helped some. They were able to understand that one. I told them they could either have the mean teacher or the nice one! When Kangaroo Goes To School is a delightful story of a kangaroo's preparations and expectations for his first day at school..."do you know the rules? ", "What about show and tell? ", "Where will we eat?" and so on. Kangaroo will steal your heart and share the rules of "school etiquette" with your children. "The pups are all going to canine manners class, but Scamp just can't seem to get the hang of it. He shows up late, talks when his teacher is speaking, and chases a fly. But when the other pups start teasing Scamp for his classroom clumsiness, everyone learns a little something about good manners. " 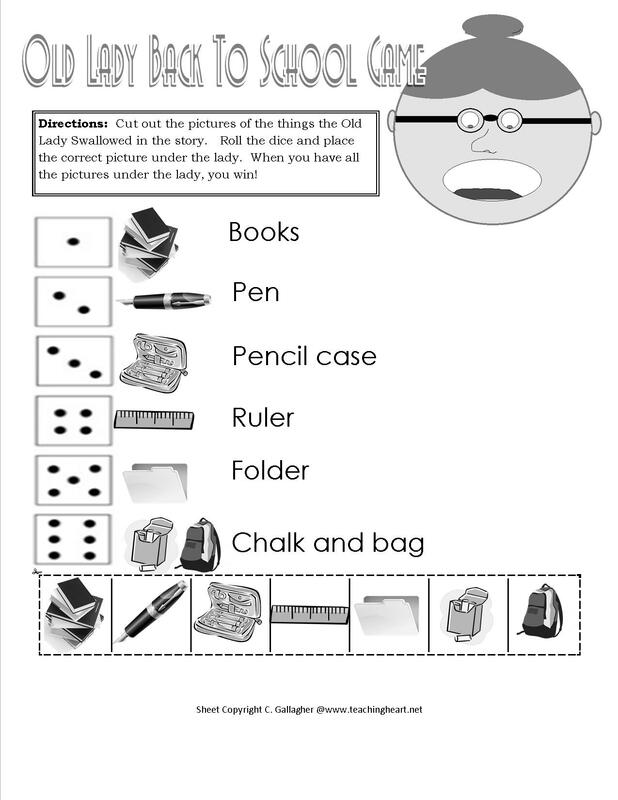 Have a paper doll (from a 12x18 sheet) ...have children sit in a circle and play the game Michael played from the book...insults. As children insult the doll, have them wad up the doll as it goes around the circle. When everyone has had a turn...smoothe out the doll and explain to children words do hurt feelings and even though we say we are sorry it takes a lot of time and trust to get over what has been said...the doll looks better than she did when she was wadded up...but she will never be the same. Children then roll played different scenarios of possible responses and actions we could use if someone was rude or disrespectful to us! This was very powerful! Last year, the doll was given a name and referred back to many times during the year when feelings were hurt and problems arose on the playground! Thought I might share something I used last year...it worked well. I got most of these ideas from the web -ring last year! Little Bill books by Bill Cosby are great for behaviors. I actually have 2 that are a must read on the first day~ The Little Engine That Could by Wyatt Piper...teaches children no matter how hard something can be never give up, hard work pays off. I read NO, David, NO, and DAvid Goes to School. My kids think David is so funny. We have a big laugh and then write our own rules. Good to get the juices flowing. I always remind my class that I LOVE (yes I use that word) them even when they are naughty just like David. It seems to help in some cases. My class is CRAZY about No, David! This year we wrote a group dictated book (on big pieces of construction paper) continuing the story No, David. The kids came up with additional no's. I gave pairs of students the pages to illustrate. We compiled the pages to make a class book--it's a read aloud favorite! My class really enjoyed the book too. At the scholastic book fair they sold out on the first day. I dress up as David the second time I read the book and acted it out. I pick out one bad action that I did as David and model how to write a simple apology card. I write "I'm sorry for _________" Then I illustrate what I will do to be better. ie. I'm sorry for breaking the vase. I illustrate playing baseball outside instead of in the house. The children then get to pretend to be David too and write apology cards for one bad action with illustrations of a good action. When I used the No, David book in my 2nd grade class, I had them write their own stories that follow the same simple sequence as in the book. I'll try to explain it as best as I can. We took a large piece of construction paper and folded it into 6 or 8 squares (can't remember which). Each square had a sentence and a picture to go with it. The example story that I used went something like this...The teacher says (square 1) Eyes on me (square 2)... Mouths quiet (#3)... Hands on your desk (#4)...and so on. The last square ended with...because she cares! I had students come up with very cute stories. My favorite one was where the student wrote "On the playground we..." and then listed her favorite activities on the playground. I can't remember what she ended it with, but it was really cute with great pics. We brainstormed a lot of ideas and the kids enjoyed making a simple story like the book. They also had great pictures with them. Hope this helps! Starting the year with introducing Bucket Filling is an awesome way to get your class working as a kidn team. Teaching Heart has a page devoted to Bucket Filling. 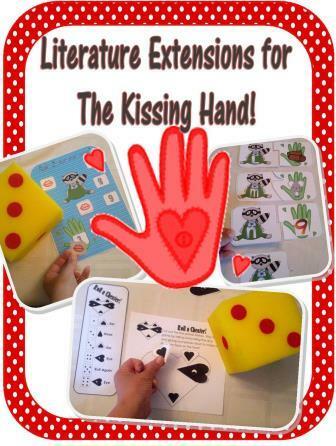 It includes ideas to match the book and many free printables. Click here to check it out! learning the names of classmates. _____________ wore (a) ___________ _____________. Example, Alex wore a blue shirt. Make up class story: Mrs. Gallagher Gets Ready for Kindergarten. . . Make up rhymes for each child. 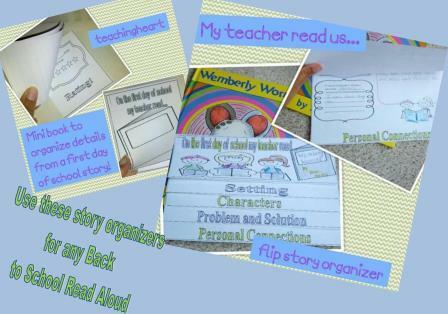 Have the children each complete a page for a class book about how they got ready for kindergarten. For a math activity, graph each students name by first letter! Use highlighter tape to have the children help identify the words that rhyme in the story! Good ideas to match the bus ride! After reading the story and discussing the setting, characters, problem/solution, and personla connections as a class; the students complete this little book which is part of this pack. Click here to learn more! 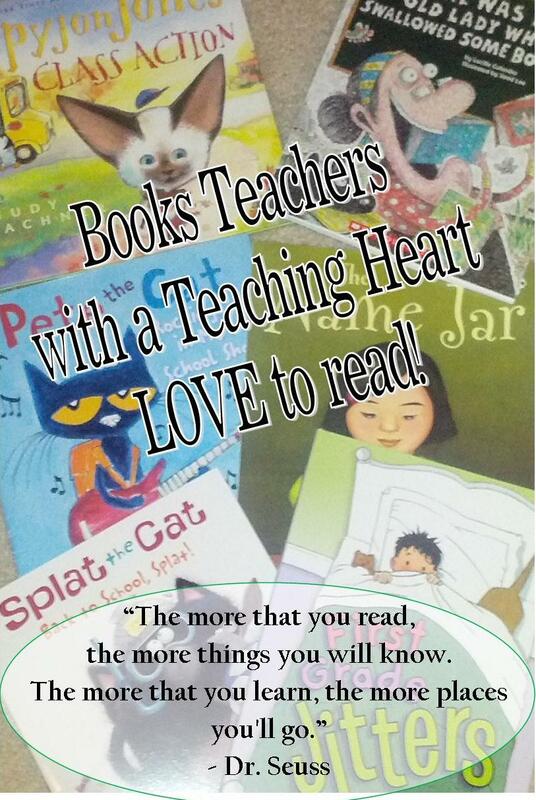 Teachers Share Their FAvorite Read Alouds for a year of reading fun!!! Click to check out this post!! !